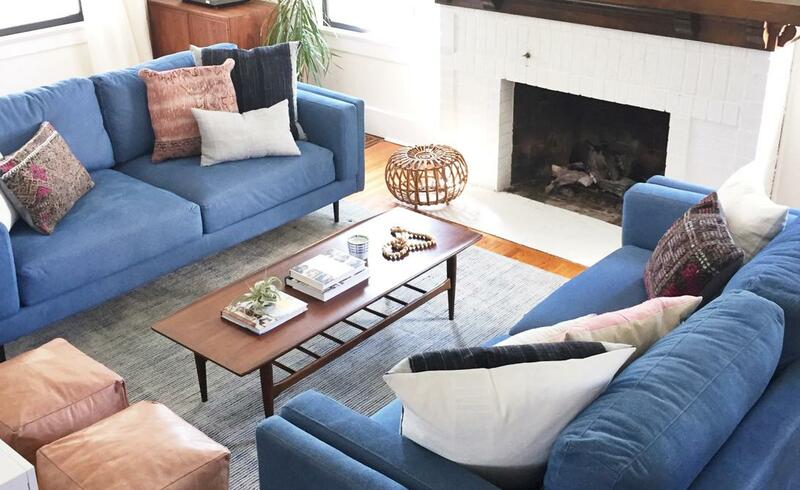 Go behind the scenes as Anissa of House of Seven Design gets hands-on to create a custom living room for her client. 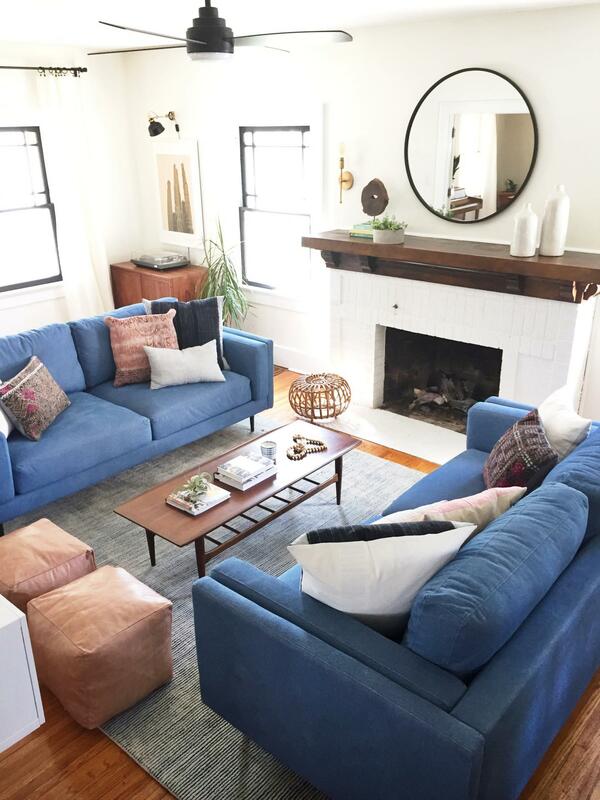 Go behind the scenes as Anissa of House of Seven Design gets hands - on to create a custom living room for her client. 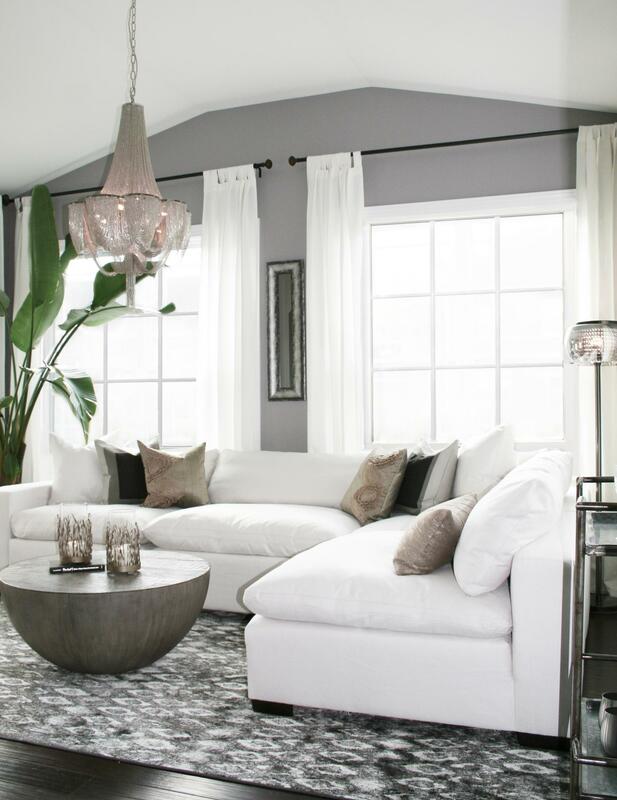 Watch as Anissa of House Seven Design finds inspiration for her client’ s custom home design as they search online and stop in -store to experience the new Winnie Collection. The design is done and Anissa can’ t wait to wow her client with her new room featuring a custom Winnie sofa and more awesome ASI decor. Customized furniture proudly made in the USA means Anissa from House of Seven Design got to experience first - hand how her client’ s new Winnie sofa was made. We've recently met a lot of like-minded people who have a great eye for style and design. Get to know some of our Style Insiders and find out which products they love. 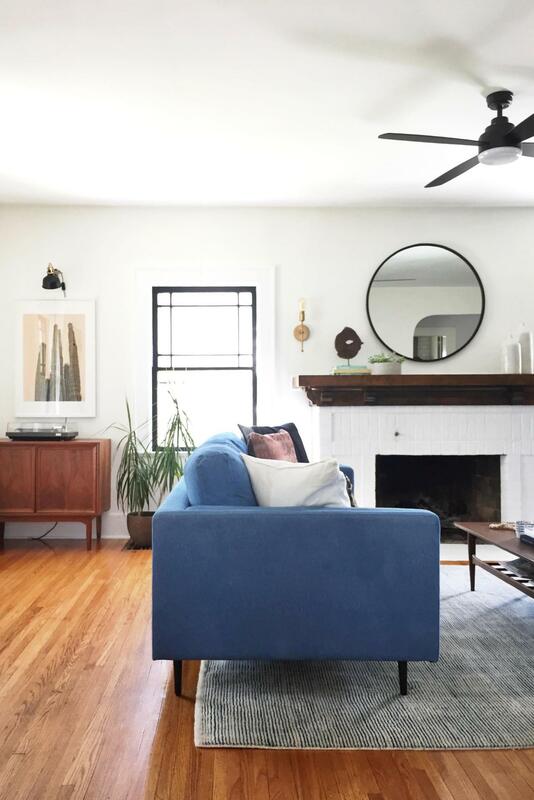 I’m the CEO and Lead Designer at House Seven Design + Build located in Indianapolis, IN....more I created a little blog years ago, documenting the renovations of our seventh home, which eventually evolved into a business I now run with my husband. I feel blessed to have my dream job, a wonderful husband/business partner, and three daughters to share my life. I’m the author behind @place_ofmy_taste. I’m a blogger and influencer for home décor & lifestyle in Richmond, VA. I design...more and style spaces to inspire others. 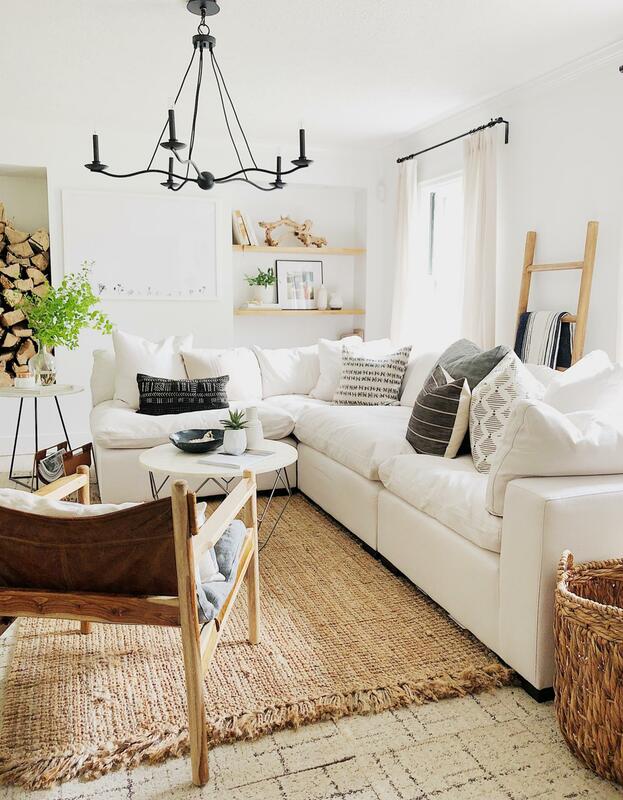 My style is modern-eclectic with a touch of rustic, and I love textures and layers. I’m excited to share the Urban Farmhouse collection from Value City Furniture with my audience. We are Sebastian & Esperanza, the creators of @twotrends. We are lifestyle bloggers and influencers based out of Miami....more Coming from architecture and journalism backgrounds, twotrends adds a unique perspective on how modern couples should be experiencing life! We've always had a passion for traveling the world and by doing so we've experienced a wide range of contemporary interior design which inspired us to bring a small taste of the world to our Miami Beach condo thanks to Value City Furniture. I’m Ashleigh, an interior decorator and proud mother of a five-year-old daughter. 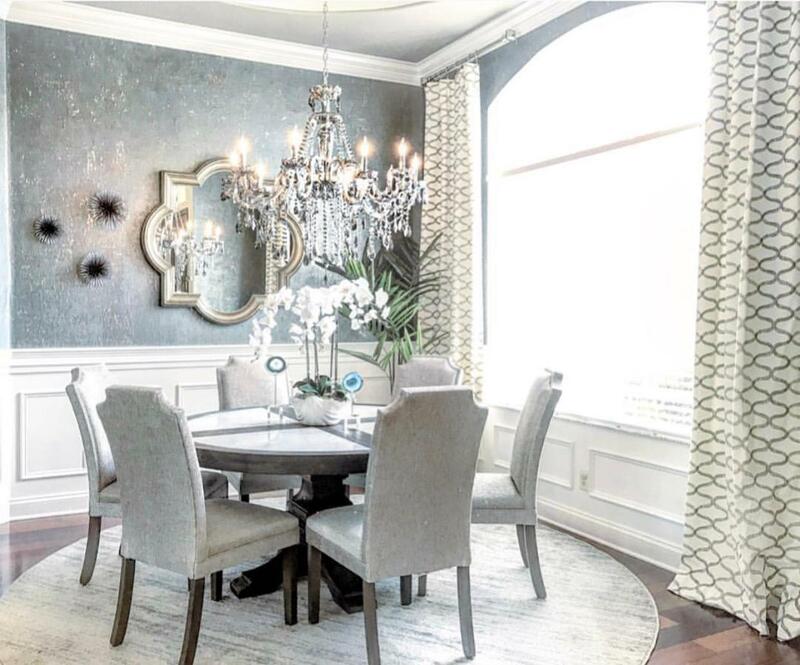 I created Interior by Ashleigh P, which my husband works on with me....more We built S&A Design together, where we transform homes to have a luxury designer touch. Value City Furniture is a staple in our design process because it’s quality without breaking the bank! I’m a mom of two who loves great style and being a doctor. As an OBGYN and robotic surgeon, finding a balance between ...more motherhood, medicine, and day-to-day life is important.. When I’m not at work, I use Instagram to post my interior design styles to inspire other young women to achieve their dreams. My name is Farah and I am the founder of Inspire Me! Home Decor. 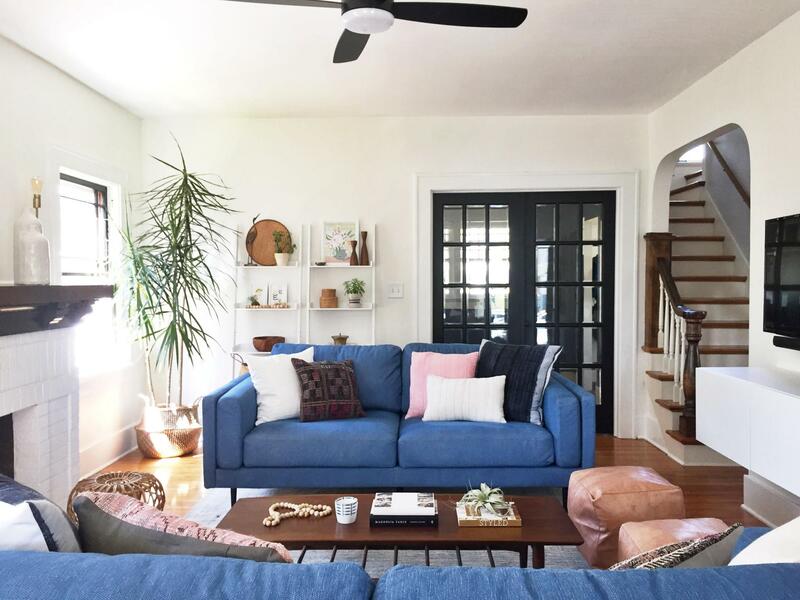 Through my platform and brand, I have made it a mission to inspire and help homeowner...more make their house their home by taking the guess work out of the equation. My goal is to make decorating your home fun and rewarding. Being a mom to three beautiful children, I also know the struggle of wanting a dream home but still needing it to be kid and pet friendly. I am here to tell you, it’s possible! Join me as I transform my dining room into a fun entertainment area for my family and friends to enjoy with the help of Value City Furniture. I'm Lisa, the creator of @homeinspirationlulu. 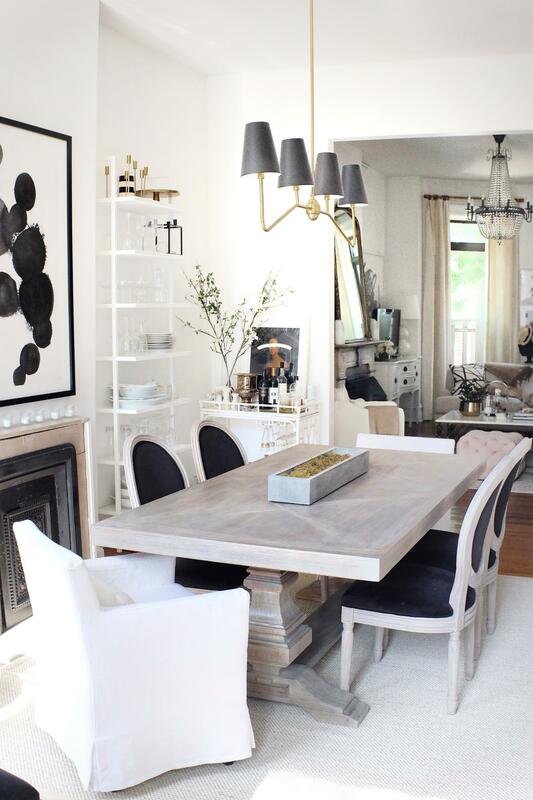 I love bright white interiors and I have an affinity for rustic glam, emphasis on the glam...more By day, I am a physician and mom of four. At night, I love decorating, product styling, and sharing my inspirations with others. 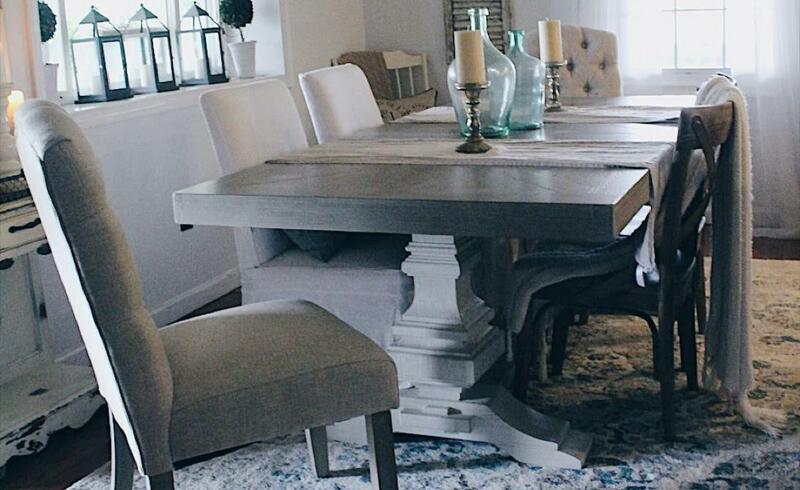 I'm excited to share my new dining room by Value City Furniture! I'm a design blogger, interior designer, and influencer for Grace In Design. I enjoy sharing inspiring home transformations ...more and blogging about how-to DIYs and design tips. 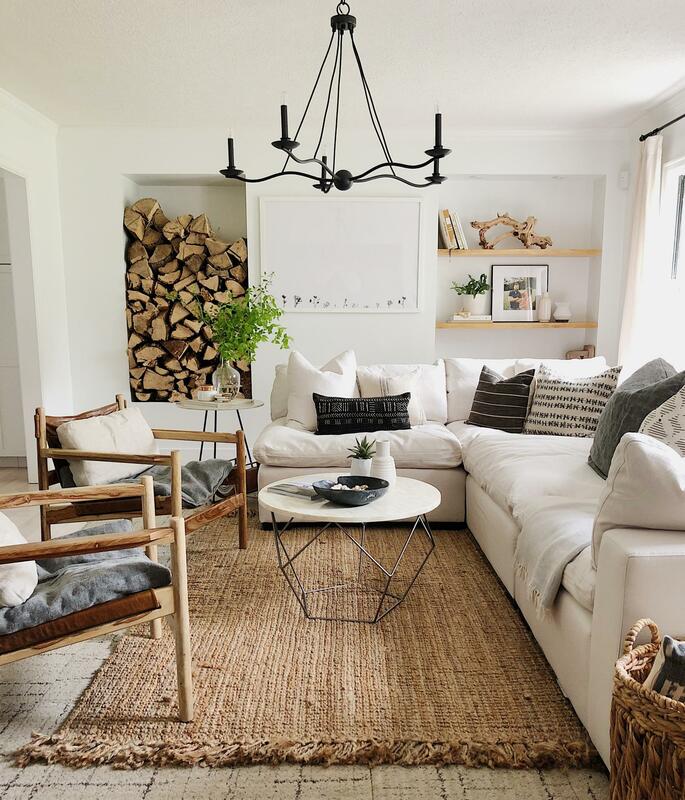 As a native Floridian, l love a relaxed vibe where function meets style. 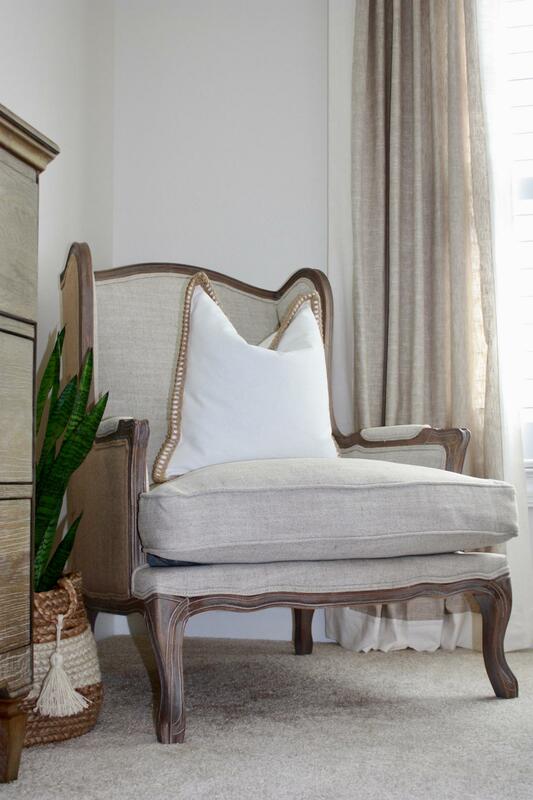 Creating a timeless space, and revolving pops of color against a neutral background is my signature mark. I'm a YouTuber, creator, and blogger and the mother of a sweet, energetic 19-year-old young man....more My handsome hubby and I call Jacksonville home, which led me to start my blog. 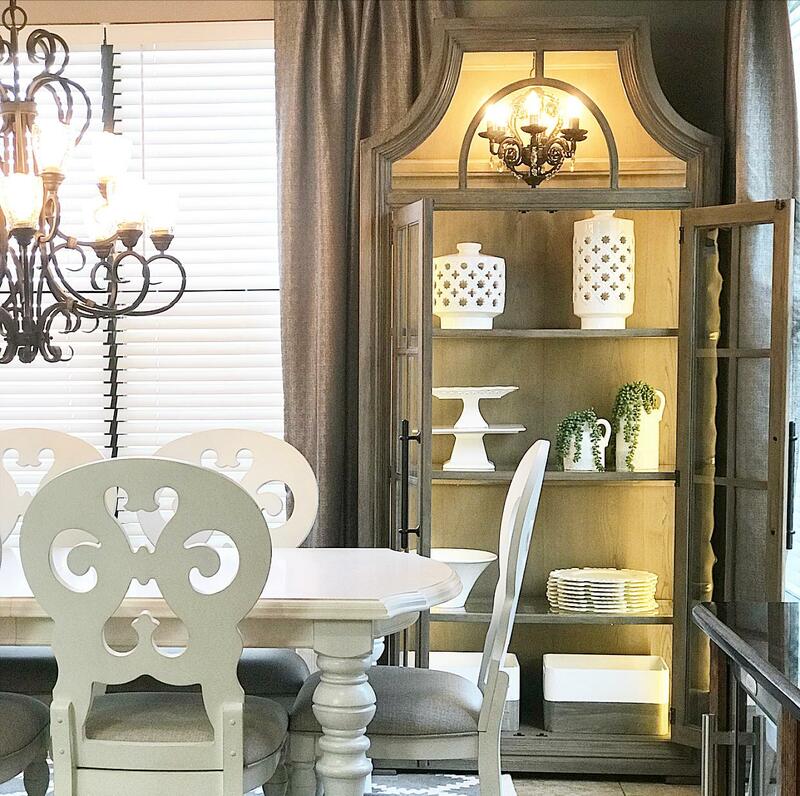 At BeMyGuestWithDenise, I share my passion for home décor and organization through tons of tips and ideas for in-home entertaining. I am Cassie Bustamante and I live in the beautiful countryside of western Maryland where I share...more my home with my husband, our three kids, two rescue dogs, and four chickens. I believe that one’s home should be an expression and extension of our deepest selves, and a place we can truly and purely be. 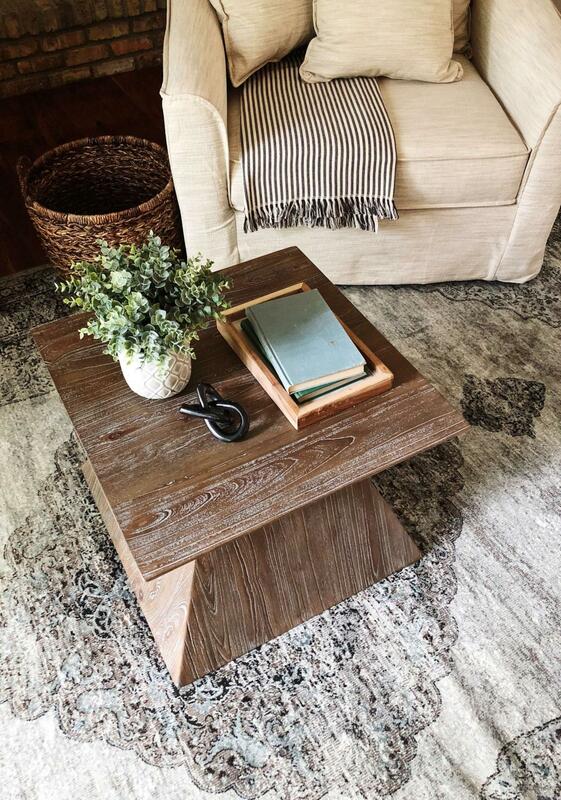 Because I am so inspired by my natural surroundings and my family, I am thrilled to be bringing into our home Value City Furniture's new live edge pieces as well as artwork reminiscent of our favorite family vacation. 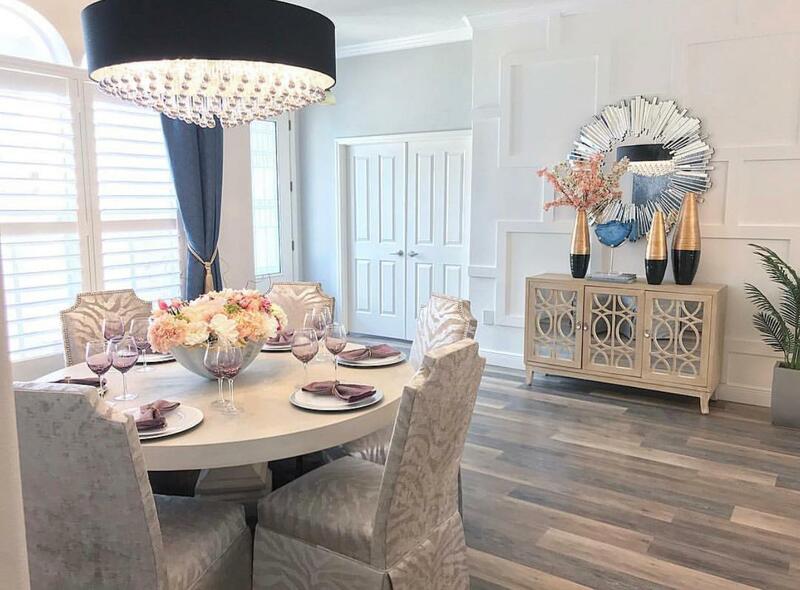 I'm the interior stylist and lifestyle blogger at The Mellionaire House, where we celebrate all things home décor, lifestyle, and family....more I'm a Tampa native with a passion for making homes feel warm and inviting. My first love will always be holiday styling! In addition to our family vlog, I offer insightful, step-by-step holiday styling tips on my YouTube Channel, The Mellionaire House. I'm excited to be partnered with Value City Furniture and to share some of my favorite furniture pieces with you! 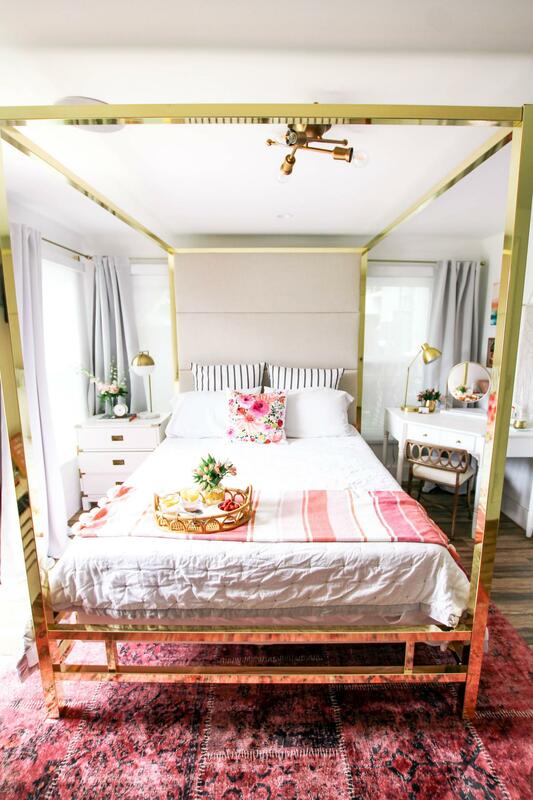 I'm a design enthusiast, blogger, new mom, and the co-founder of The Everygirl Media Group....more My husband and I rent a 130-year-old traditional row home in Chicago and live here with our new son, Henry, and two cockapoos. I’m the interior designer for the blog Addison's Wonderland. I have a bachelor's degree in residential design...more and an obsession with color and pattern. After appearing on ABC's Shark Tank in 2013, I began remodeling my home and launched a career in interior design. As a proud wife, mommy, blogger, and designer, I’m focused on creating my dream home. I’m a mom, wife, and fixer upper. 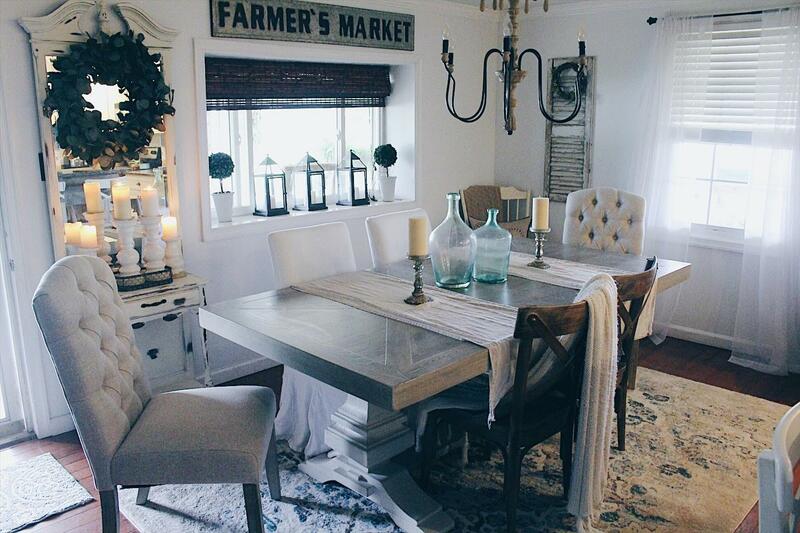 My style is a little bit vintage, a little bit glam, with a whole lot ...more of farmhouse. I believe spaces should be collected, not decorated, and that you can never have enough throw pillows! I chose Value City Furniture for their affordable classic-yet-modern pieces that’ll grow with our home and our family for years to come! I’m a wife, mom, designer, and avid thrifter. 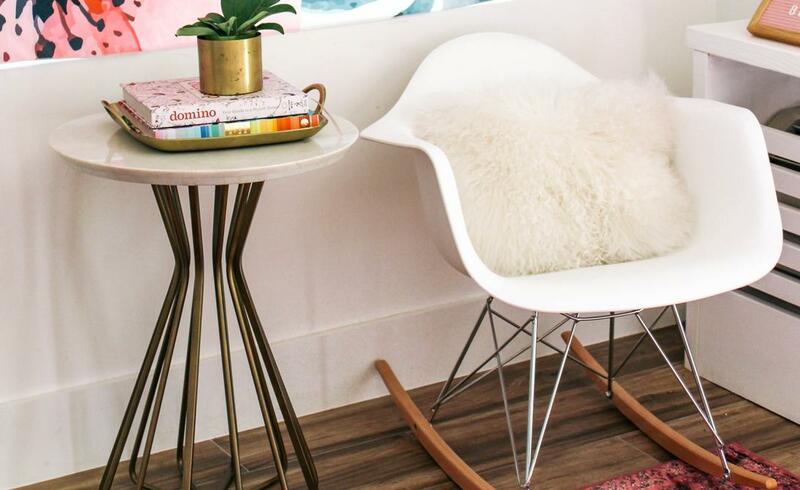 My style is equal parts modern and vintage....more I love thrifting for one-of-a-kind accessories to pair with larger, more versatile furniture. I chose the West End sofa from Value City Furniture for its classic MCM shape that mixes easily with my other collected pieces. 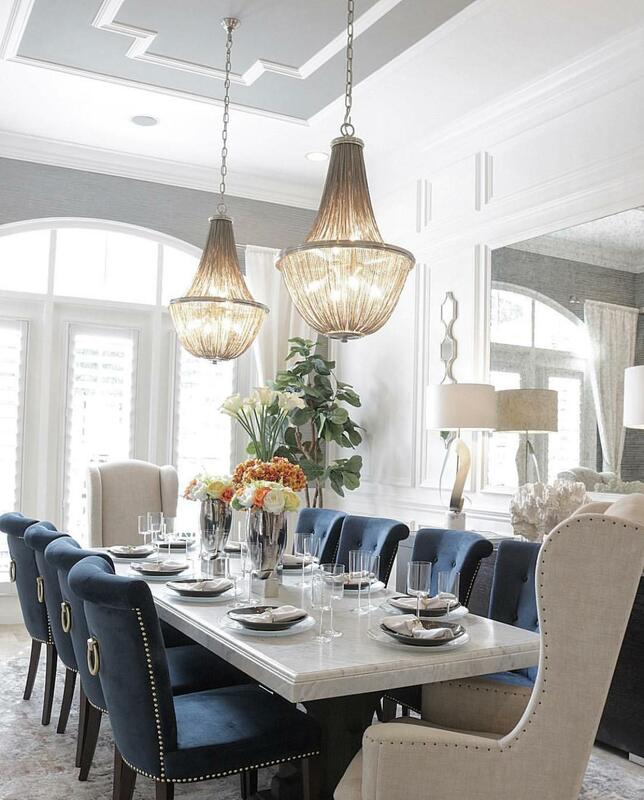 I’ve been an interior designer in the Tampa, FL area for five years....more I love collaborating with ASF because their products complement my design aesthetics, and my clients are always impressed with Value City’s ability to keep up with styles that have a designer look, but at a better value! 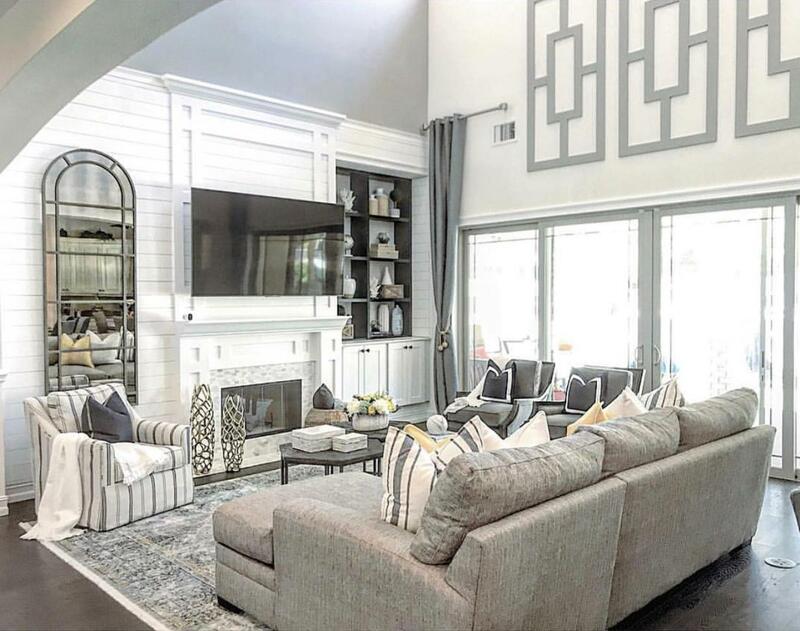 I’m a decorator in Charlotte, NC, but I do virtual consults so I can help people all over the U.S....more I believe everyone should love their home, no matter their stage of life. 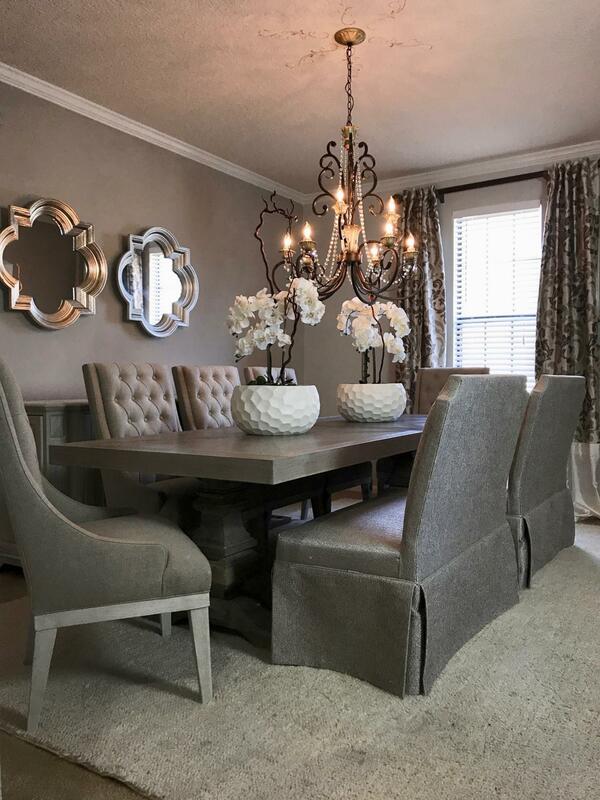 My style is transitional with just a hint of glam, and I love that Value City Furniture‘s pieces are affordable and timeless. I’m the creator of @lovefordesigns. 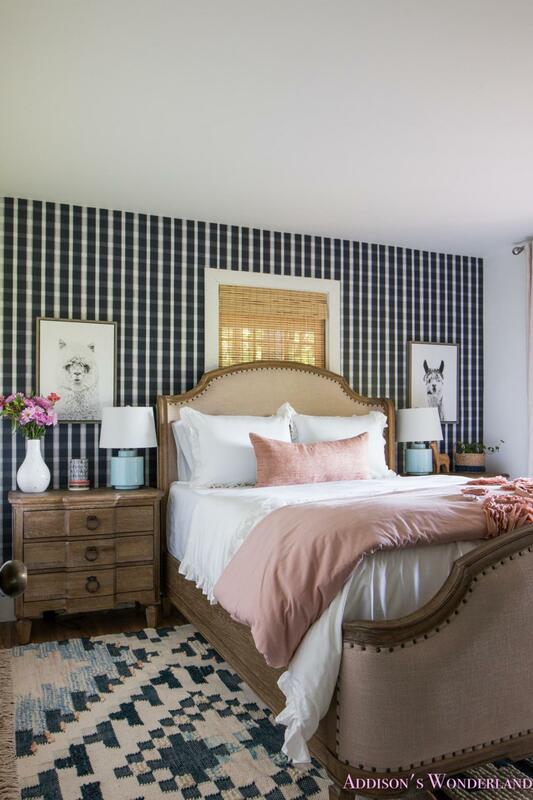 I am a home décor blogger and influencer who began in NYC, but now...more call Charlotte, NC home. 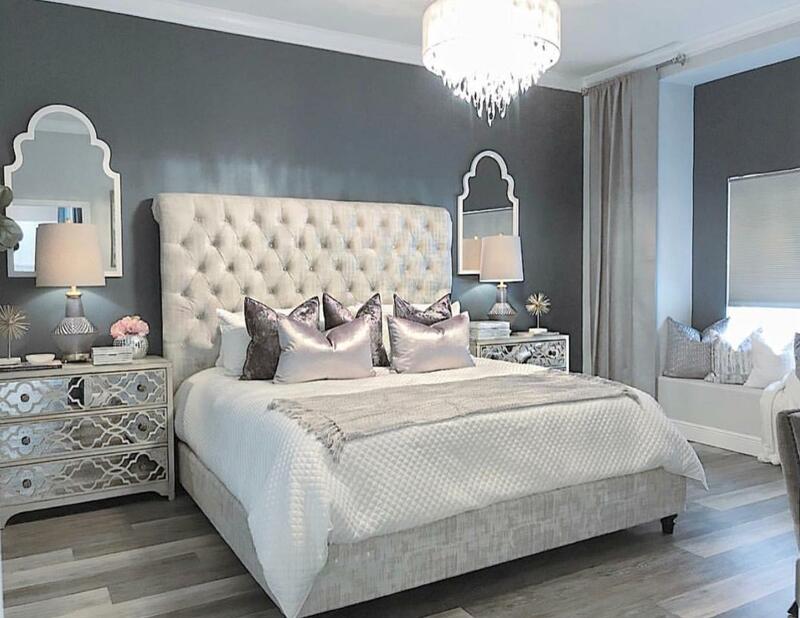 I’ve always had a passion for creating elegant living spaces that share the right amount of comfort and glam. With the help of Value City Furniture, I made my vision a reality without breaking the bank! 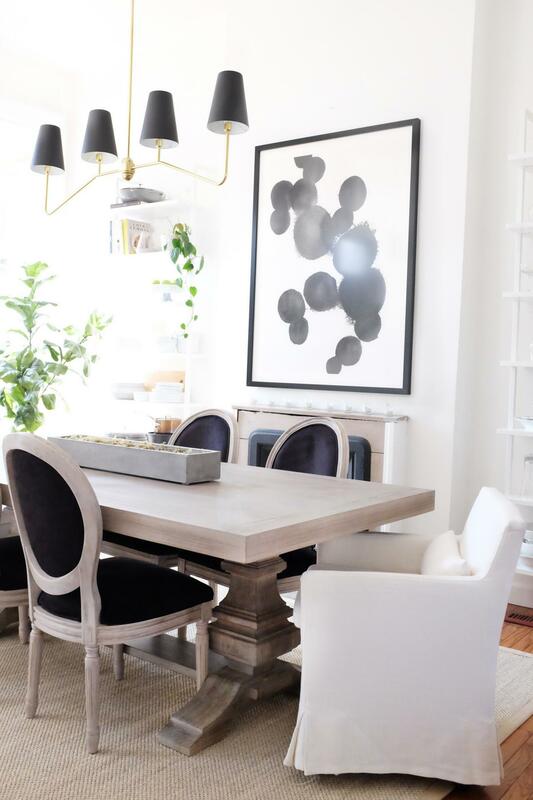 I am the blogger and Interior designer behind At Home with Ashley....more I like sharing tips and my signature girly-glam look as well as tips for decorating on a budget. I was so excited to work with Value City Furniture because they have a huge variety of furniture in every style! I’m a home décor blogger at www.linenandbasil.com. 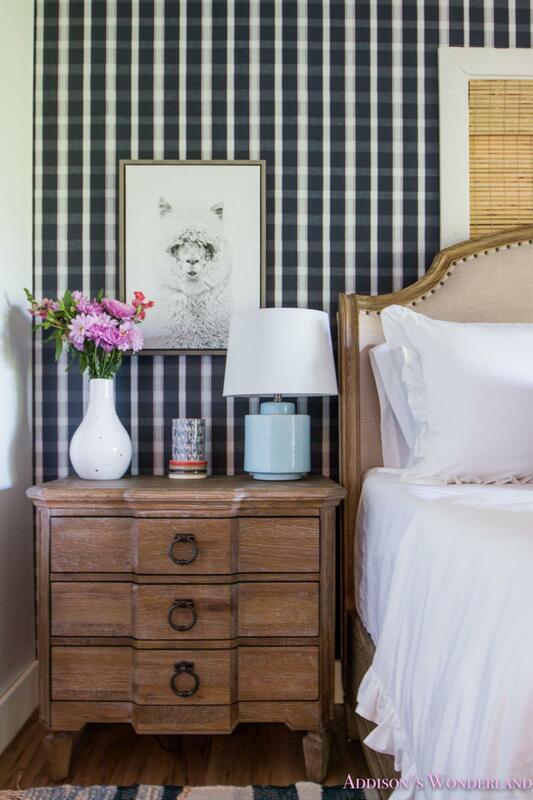 I believe decorating is a journey...more and not something that happens overnight. My blog is designed to share helpful photos and tips to inspire you along the way. In addition to blogging, I’m a certified Holistic Health Coach, a wife, and a mom of two teenage boys. I’m the CEO and Lead Designer at House Seven Design + Build located in Indianapolis, IN. I created a little blog years ago, documenting the renovations of our seventh home, which eventually evolved into a business I now run with my husband. I feel blessed to have my dream job, a wonderful husband/business partner, and three daughters to share my life. I’m the author behind @place_ofmy_taste. I’m a blogger and influencer for home décor & lifestyle in Richmond, VA. I design and style spaces to inspire others. 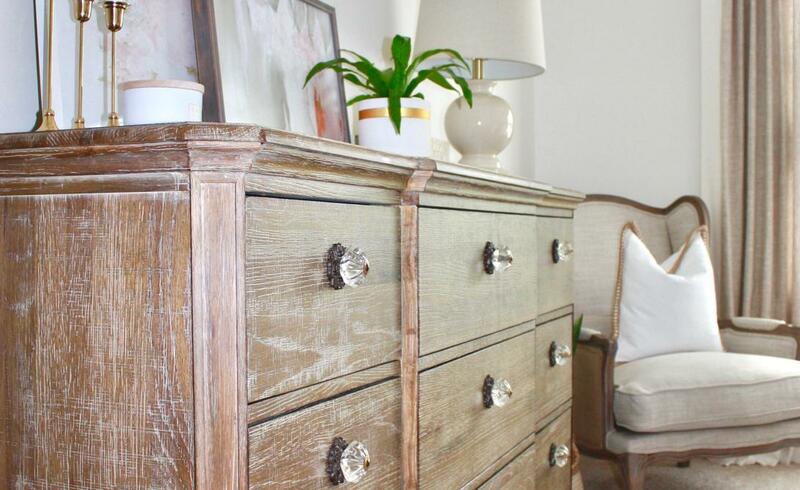 My style is modern-eclectic with a touch of rustic, and I love textures and layers. 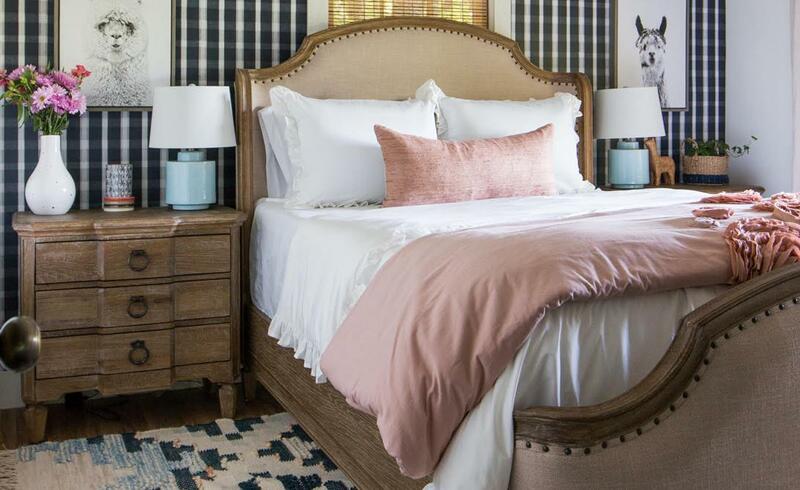 I’m excited to share the Urban Farmhouse collection from Value City Furniture with my audience. We are Sebastian & Esperanza, the creators of @twotrends. We are lifestyle bloggers and influencers based out of Miami. Coming from architecture and journalism backgrounds, twotrends adds a unique perspective on how modern couples should be experiencing life! We've always had a passion for traveling the world and by doing so we've experienced a wide range of contemporary interior design which inspired us to bring a small taste of the world to our Miami Beach condo thanks to Value City Furniture. I’m Ashleigh, an interior decorator and proud mother of a five-year-old daughter. I created Interior by Ashleigh P, which my husband works on with me. 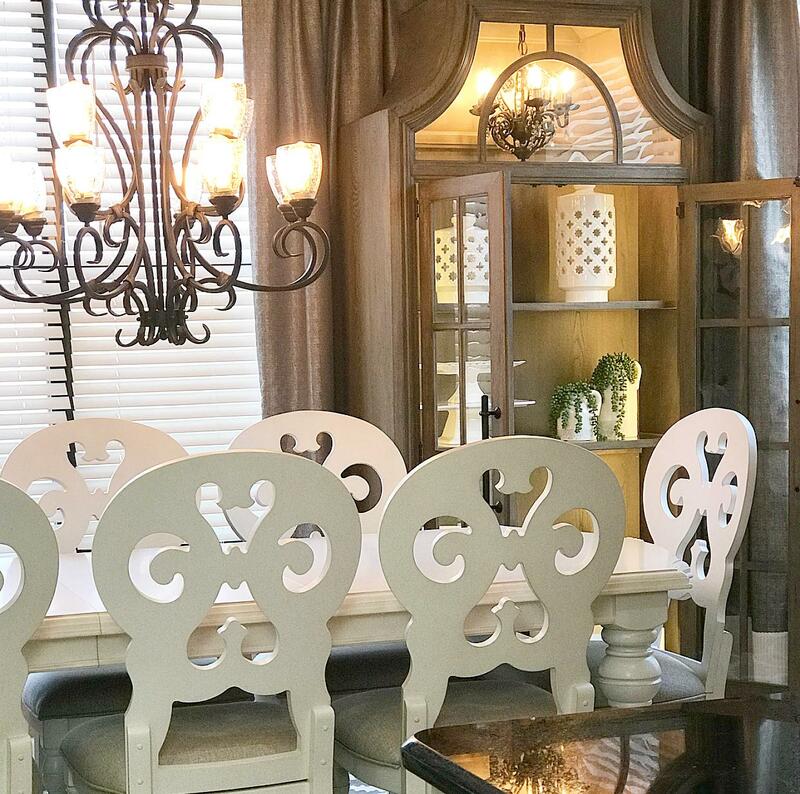 We built S&A Design together, where we transform homes to have a luxury designer touch. Value City Furniture is a staple in our design process because it’s quality without breaking the bank! I’m a mom of two who loves great style and being a doctor. As an OBGYN and robotic surgeon, finding a balance between motherhood, medicine, and day-to-day life is important. When I’m not at work, I use Instagram to post my interior design styles to inspire other young women to achieve their dreams. My name is Farah and I am the founder of Inspire Me! Home Decor. Through my platform and brand, I have made it a mission to inspire and help homeowners make their house their home by taking the guess work out of the equation. My goal is to make decorating your home fun and rewarding. Being a mom to three beautiful children, I also know the struggle of wanting a dream home but still needing it to be kid and pet friendly. I am here to tell you, it’s possible! 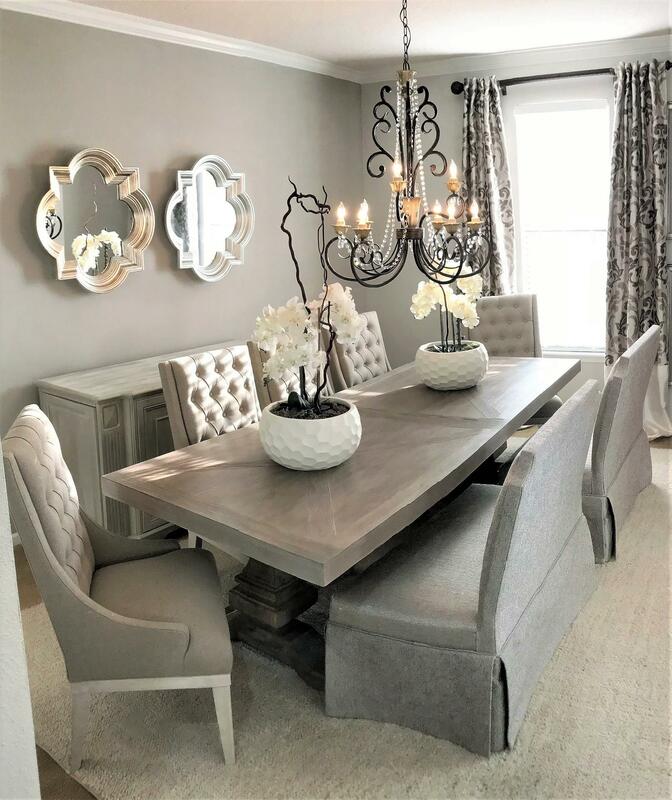 Join me as I transform my dining room into a fun entertainment area for my family and friends to enjoy with the help of Value City Furniture. I'm Lisa, the creator of @homeinspirationlulu. 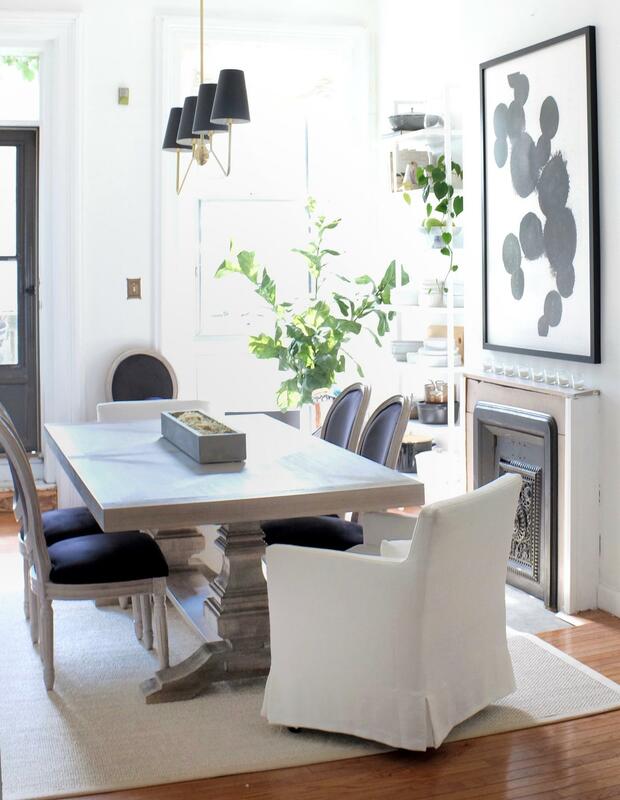 I love bright white interiors and I have an affinity for rustic glam, emphasis on the glam. By day, I am a physician and mom of four. At night, I love decorating, product styling, and sharing my inspirations with others. 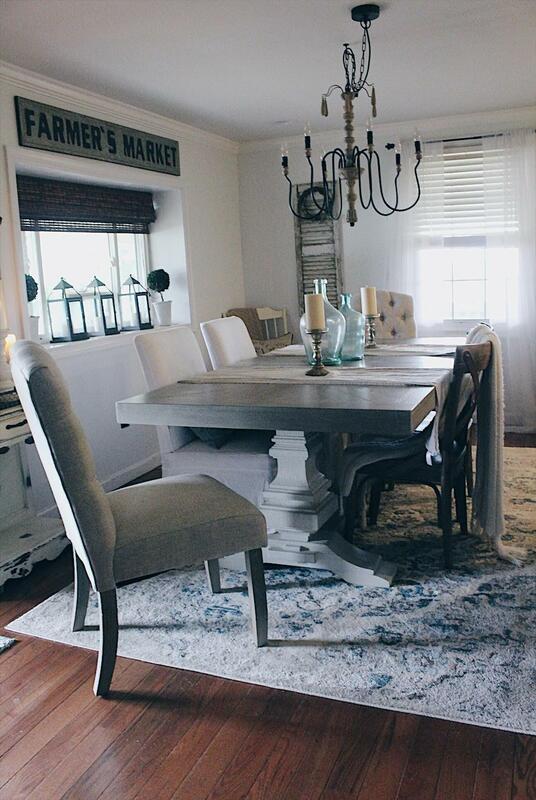 I'm excited to share my new dining room by Value City Furniture! I'm a design blogger, interior designer, and influencer for Grace In Design. 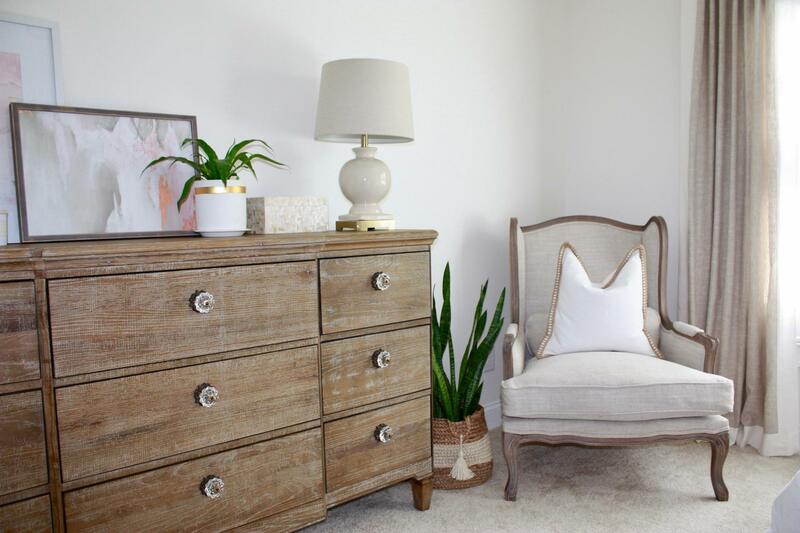 I enjoy sharing inspiring home transformations and blogging about how-to DIYs and design tips. 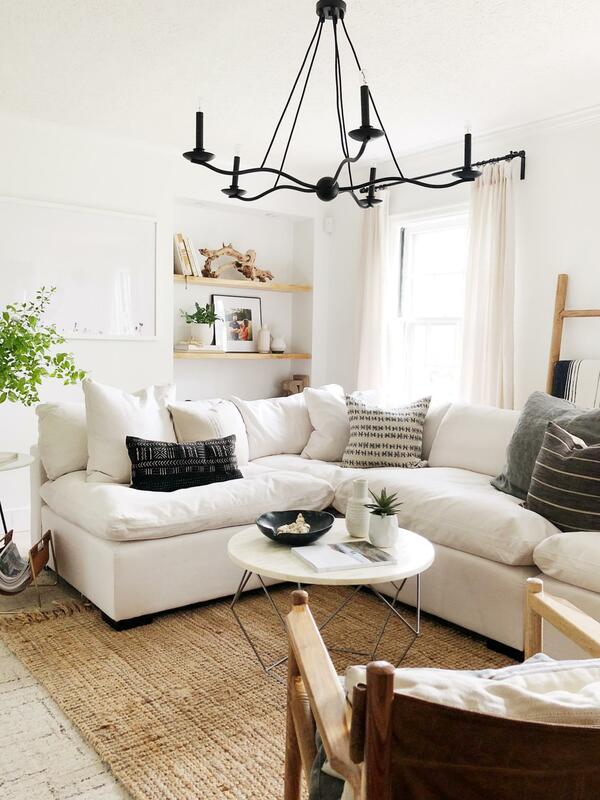 As a native Floridian, l love a relaxed vibe where function meets style. Creating a timeless space, and revolving pops of color against a neutral background is my signature mark. I'm a YouTuber, creator, and blogger and the mother of a sweet, energetic 19-year-old young man. My handsome hubby and I call Jacksonville home, which led me to start my blog. 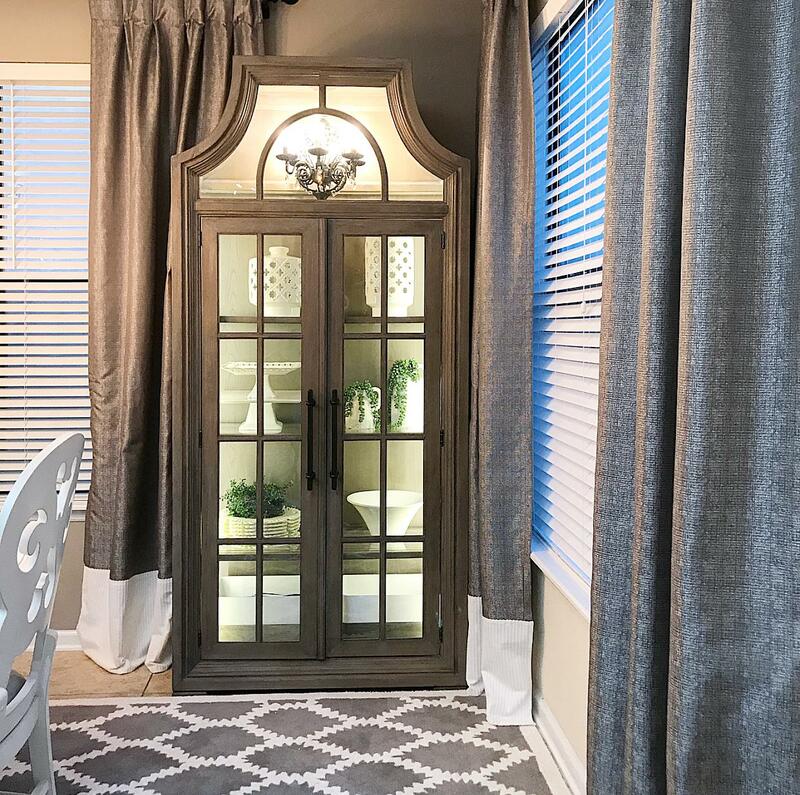 At BeMyGuestWithDenise, I share my passion for home décor and organization through tons of tips and ideas for in-home entertaining. I am Cassie Bustamante and I live in the beautiful countryside of western Maryland where I share my home with my husband, our three kids, two rescue dogs, and four chickens. I believe that one’s home should be an expression and extension of our deepest selves, and a place we can truly and purely be. 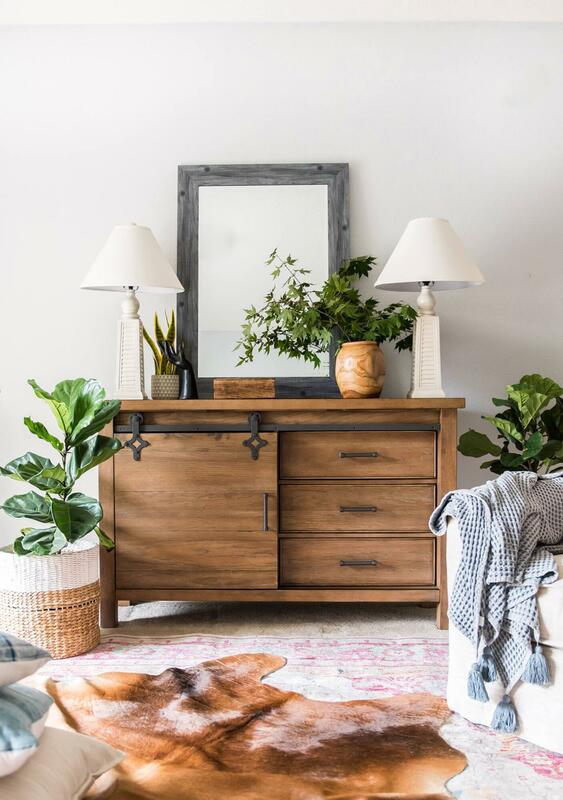 Because I am so inspired by my natural surroundings and my family, I am thrilled to be bringing into our home Value City Furniture's new live edge pieces as well as artwork reminiscent of our favorite family vacation. I'm the interior stylist and lifestyle blogger at The Mellionaire House, where we celebrate all things home décor, lifestyle, and family. 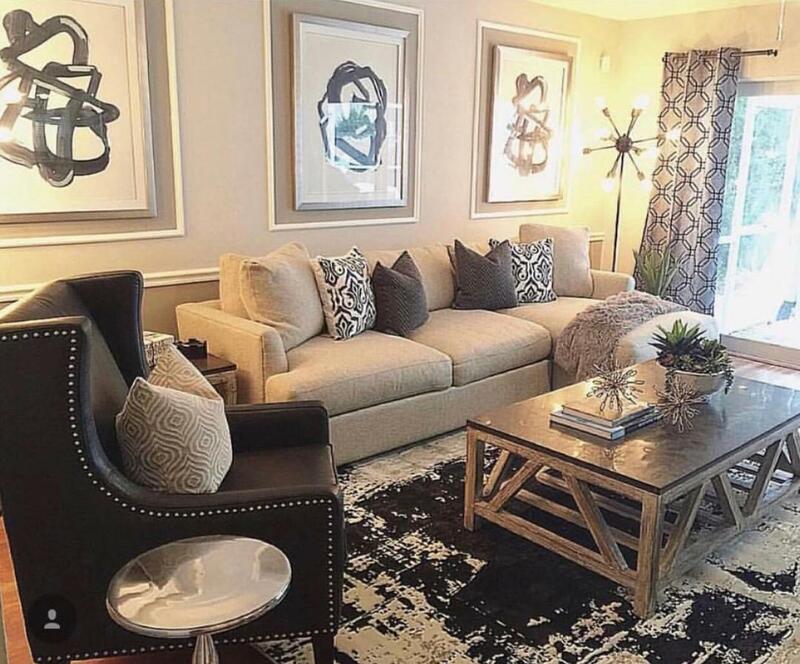 I'm a Tampa native with a passion for making homes feel warm and inviting. My first love will always be holiday styling! In addition to our family vlog, I offer insightful, step-by-step holiday styling tips on my YouTube Channel, The Mellionaire House. I'm excited to be partnered with Value City Furniture and to share some of my favorite furniture pieces with you! 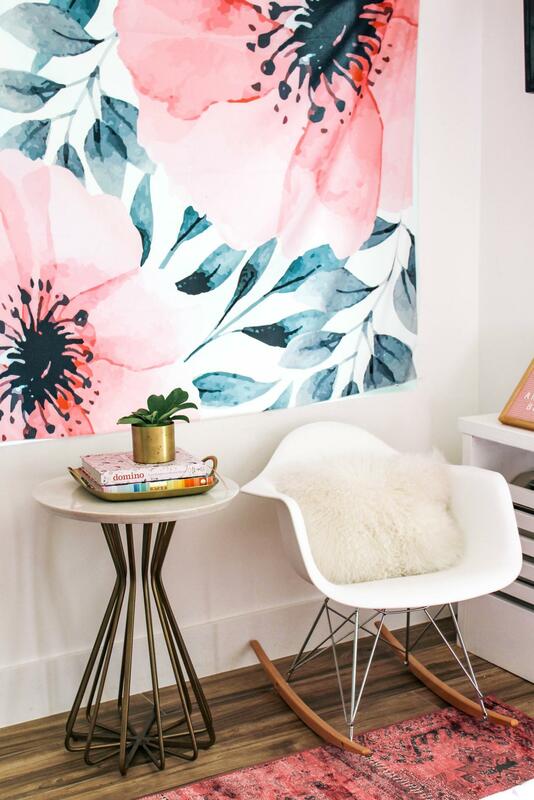 I'm a design enthusiast, blogger, new mom, and the co-founder of The Everygirl Media Group. My husband and I rent a 130-year-old traditional row home in Chicago and live here with our new son, Henry, and two cockapoos. I’m the interior designer for the blog Addison's Wonderland. I have a bachelor's degree in residential design and an obsession with color and pattern. After appearing on ABC's Shark Tank in 2013, I began remodeling my home and launched a career in interior design. As a proud wife, mommy, blogger, and designer, I’m focused on creating my dream home. I’m a mom, wife, and fixer upper. 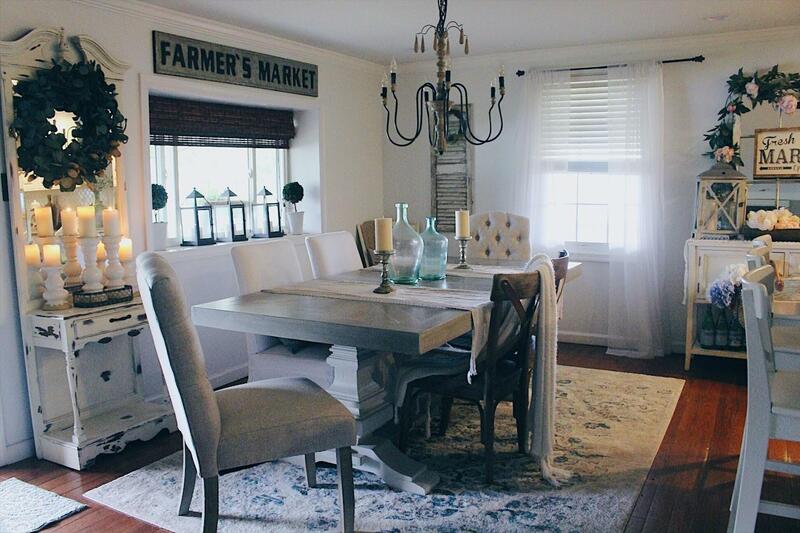 My style is a little bit vintage, a little bit glam, with a whole lot of farmhouse. 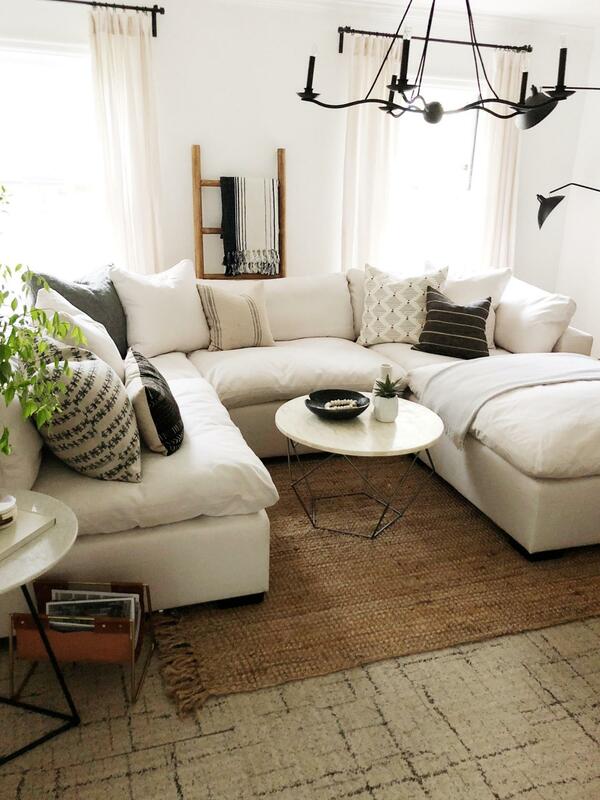 I believe spaces should be collected, not decorated, and that you can never have enough throw pillows! I chose Value City Furniture for their affordable classic-yet-modern pieces that’ll grow with our home and our family for years to come! I’m a wife, mom, designer, and avid thrifter. My style is equal parts modern and vintage. I love thrifting for one-of-a-kind accessories to pair with larger, more versatile furniture. I chose the West End sofa from Value City Furniture for its classic MCM shape that mixes easily with my other collected pieces. 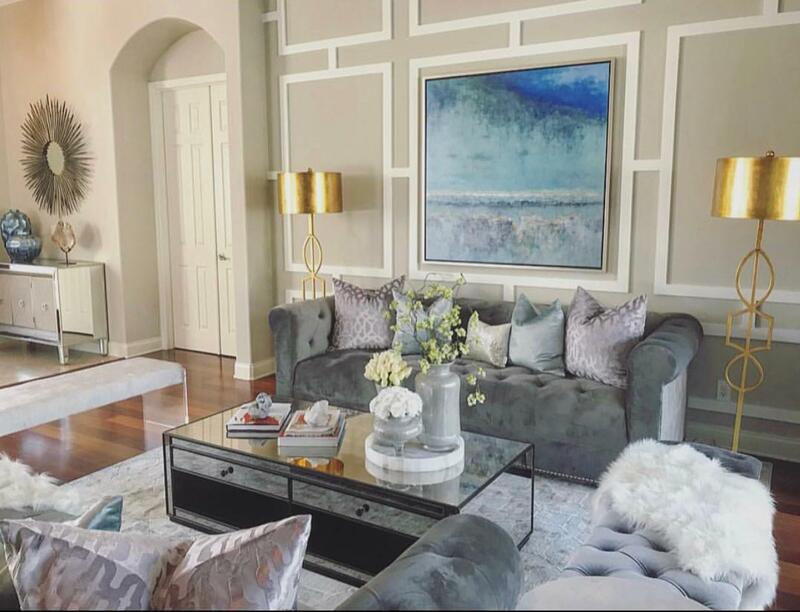 I’ve been an interior designer in the Tampa, FL area for five years. 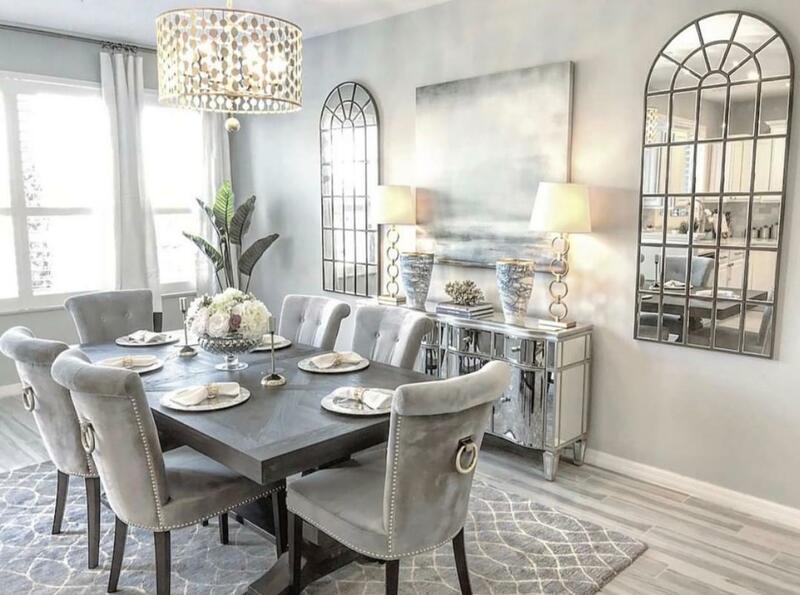 I love collaborating with ASF because their products complement my design aesthetics, and my clients are always impressed with Value City’s ability to keep up with styles that have a designer look, but at a better value! I’m a decorator in Charlotte, NC, but I do virtual consults so I can help people all over the U.S. I believe everyone should love their home, no matter their stage of life. 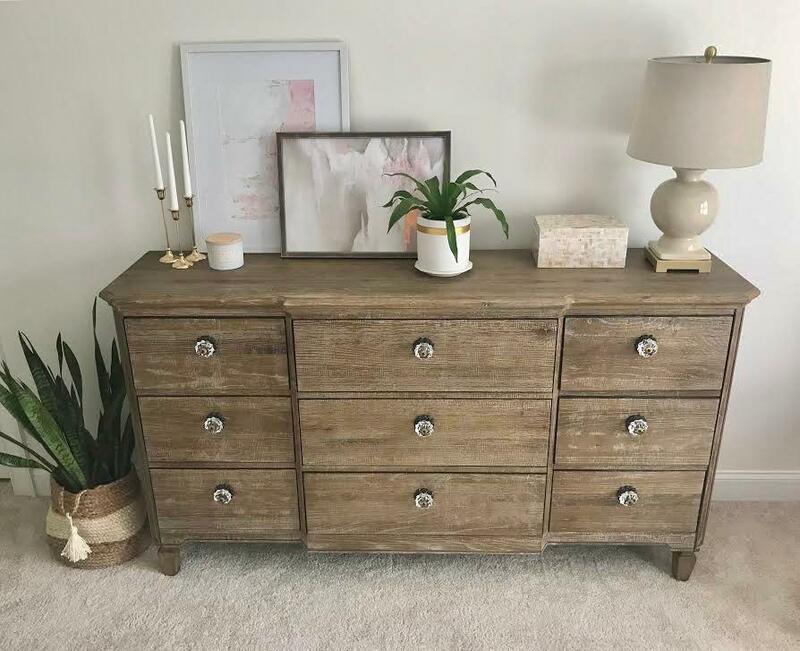 My style is transitional with just a hint of glam, and I love that Value City Furniture‘s pieces are affordable and timeless. I’m the creator of @lovefordesigns. 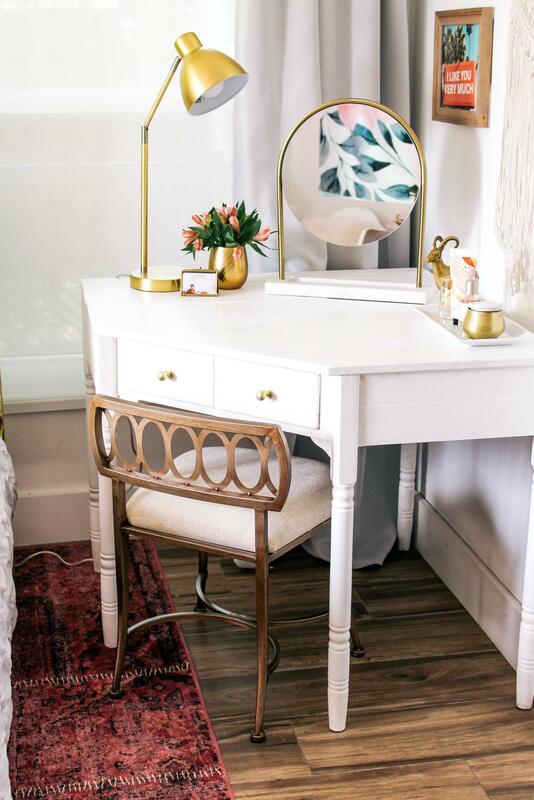 I am a home décor blogger and influencer who began in NYC, but now call Charlotte, NC home. 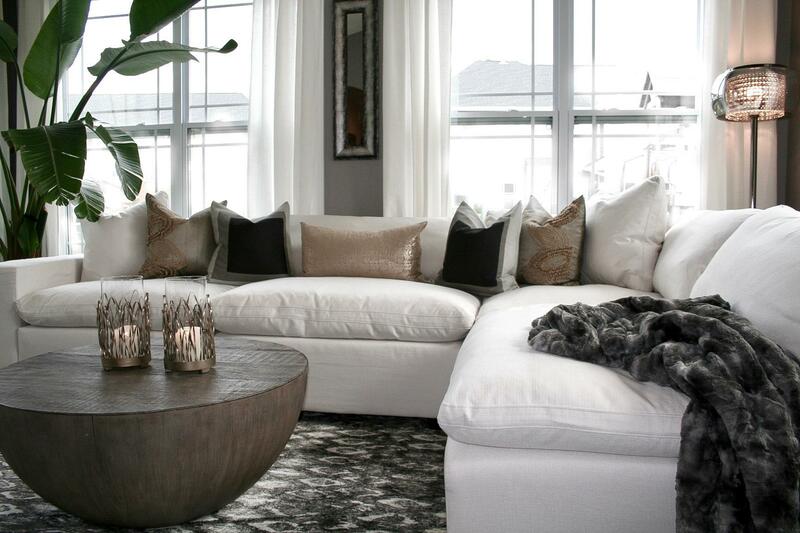 I’ve always had a passion for creating elegant living spaces that share the right amount of comfort and glam. With the help of Value City Furniture, I made my vision a reality without breaking the bank! 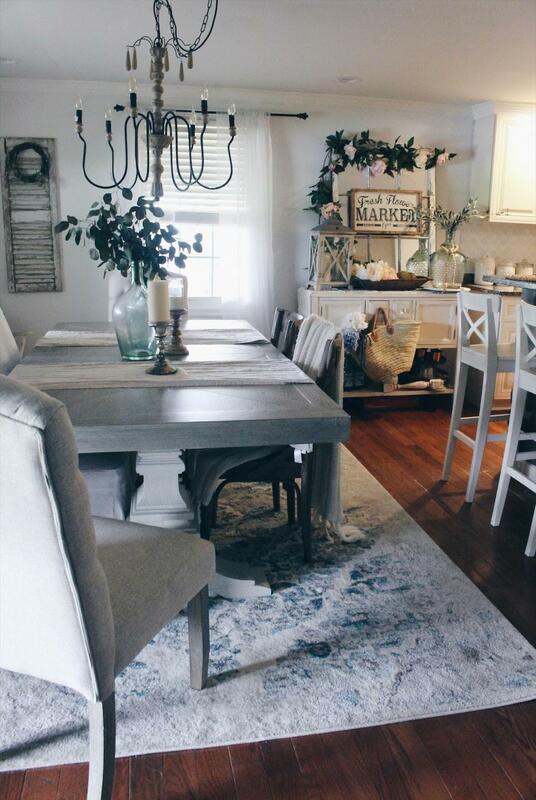 I am the blogger and Interior designer behind At Home with Ashley. I like sharing tips and my signature girly-glam look as well as tips for decorating on a budget. I was so excited to work with Value City Furniture because they have a huge variety of furniture in every style! I’m a home décor blogger at www.linenandbasil.com. 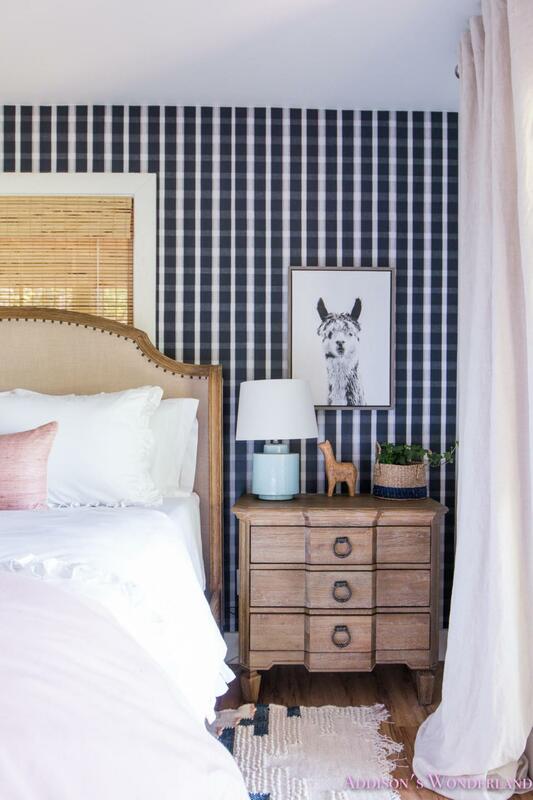 I believe decorating is a journey and not something that happens overnight. My blog is designed to share helpful photos and tips to inspire you along the way. In addition to blogging, I’m a certified Holistic Health Coach, a wife, and a mom of two teenage boys.